In 2011, after returning to the UK from Japan, I was lucky enough to land a job at the Daiwa Anglo-Japanese Foundation in London. One of the things the Daiwa Foundation does is run a scholarship scheme in which up to six lucky British citizens are sent to Japan each year to study Japanese, do a homestay, and carry out a work placement. The scheme is incredibly hard to get into, due to the volume and quality of applications, and only the very best can be chosen. 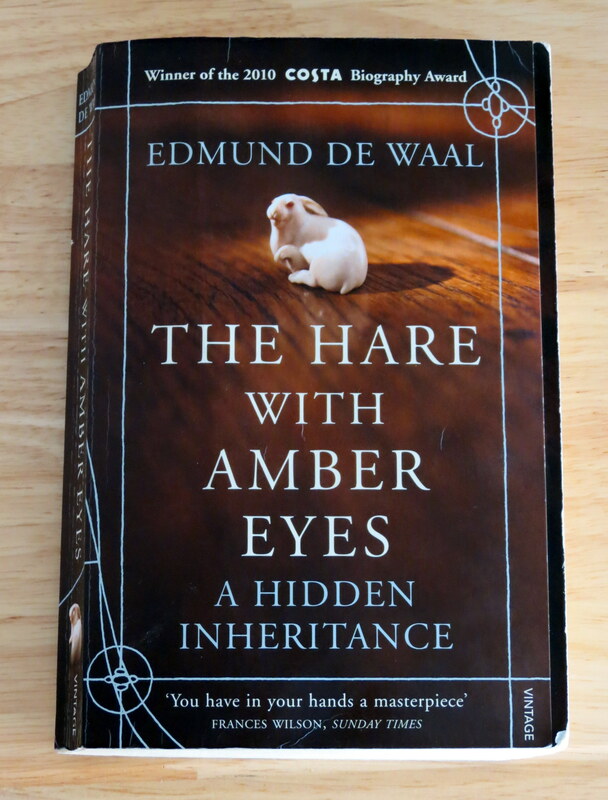 Professor Edmund de Waal OBE was in the very first batch of Daiwa Scholars to be sent to Japan in 1991 and, subsequently, he wrote The Hare with Amber Eyes (published in 2010). Whilst working at the Daiwa Foundation the book was often talked about, and I often thought I ought to read it. I knew very little about it, other than that it was something to do with the author’s family, and something to do with a collection of netsuke. Netsuke, I later learnt, were small carved toggles which used to form a part of traditional Japanese men’s clothing. Just before I left London earlier this year I was in Marylebone killing a little bit of time before meeting two ex-colleagues from the Daiwa Foundation, when I happened to spot a copy of The Hare with Amber Eyes in an Oxfam Bookshop for a mere £2.50. It seemed like fate, so I bought it. Not long after that, and just before I moved to Bristol, I attended the opening of an exhibition of netsuke at the Japanese Embassy and saw Edmund de Waal’s hare with my own eyes. 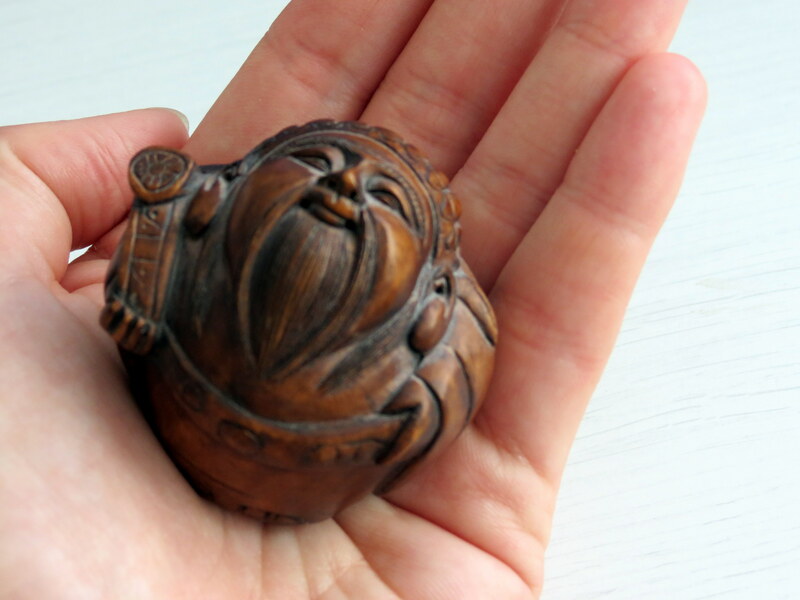 He’s not a netsuke – he has no holes to be a toggle, and was just a cheap souvenir from Japan – but he’s certainly made in the same style as a netsuke. He feels good in my hand; round with no sharp edges. I digress. This is supposed to be a book review, but I wanted you to know in what context I read The Hare with Amber Eyes. To be honest, most of the books I read have something to do with Japan and, although I’d had this book highly recommended to me, I would not have read it if it had not been for the netsuke. I found the story of Edmund’s family at times a little heavy going, but that is in most part due to my own ignorance, I’m sure. Edmund painstakingly traces his family (the Ephrussi family) history right back to Paris in 1871. I was initially gripped with the stories of Charles Ephrussi collecting Japanese art, waiting for the netsuke to appear. I imagined how life must have been in a world where Japanese objects were even more exotic than they are today; a world where you couldn’t simply Google ‘netsuke’ to see a huge collection. As the story progresses to Vienna the netsuke are still there but so, eventually, is the war. I found I had less interest in the story when the netsuke weren’t present, but as soon as they came back in part three I was delighted. I had been wondering what has happened to them all the while the war was going on and homes were being destroyed. I was glad they were safe and that, somehow, that had been saved from the Nazis who had taken everything that belonged to the Jewish Ephrussi family, including their homes and livelihoods. Part Four, ‘Tokyo 1947 – 2001’, was when I simply couldn’t put the book down. I could have read a whole book of just this period, just great-uncle Iggie living in Tokyo with his lover Jiro and the netsuke collection. I was so curious to read about Tokyo at this time that I even found myself Googling ‘Tokyo boogie-woogie’ when it was mentioned as being the summer hit of 1948 in Tokyo. 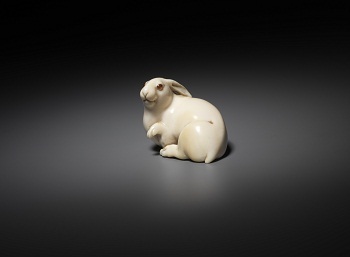 By the end of the story we learn that the netsuke collection is now in its fifth set of hands – Edmund de Waal’s family. Edmund, as a maker of objects himself (he is a potter), is keen for these objects to be handled by his young family as they were once before, rather than kept locked away in a museum. This story, whilst being the story of Edmund’s family, has rather cleverly been the story of the netsuke as well. I find the idea of following an object, or collection of objects, through time fascinating, and only wish I had such an object in my own family. What an incredible journey it must have been for Edmund to follow his family history back to the 1800s and half way around the world, based simply on a collection of small Japanese objects. For more information about Edmund de Waal, visit: www.edmunddewaal.com, where you can also see a photographic gallery of his netsuke.